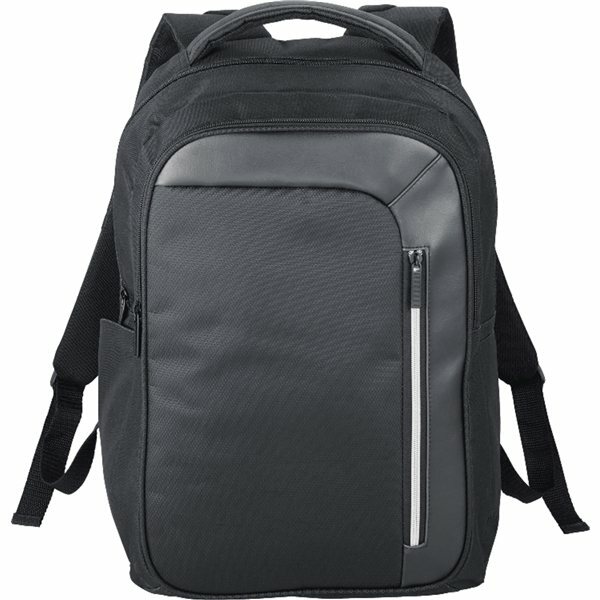 The Vault RFID Security 15" Computer Backpack will prohibit unauthorized access to your belongings. 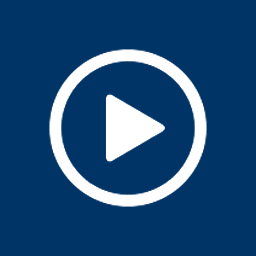 Zip through the airport or sit in a meeting – with sleek, contemporary styling and Top-Secret design elements, you're covered with RFID security technology. 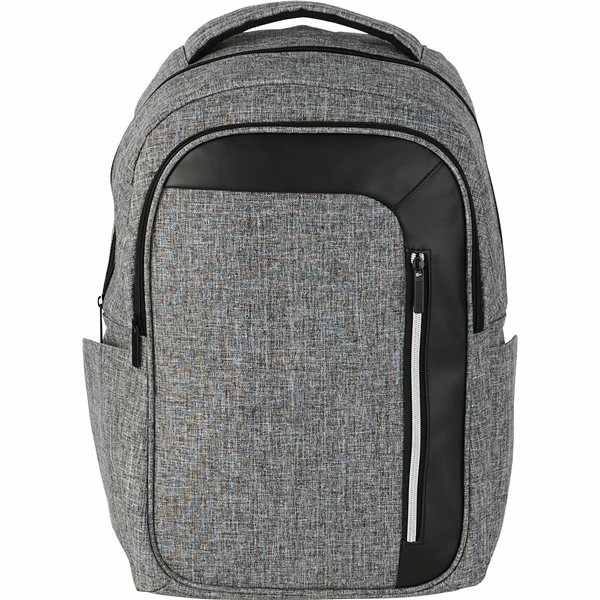 Standard features include a zippered main compartment that holds up to a 15 inch laptop as well as a separate padded compartment for your iPad® or tablet. Large front zippered pocket has organizational features that include a key fob and hidden zippered RFID blocking pocket to protect against identify theft of your credit cards and passport. Front vertical zipper is designed for quick access to the front pocket. Additional storage with two side pockets. Adjustable, padded backpack straps with webbing details that add functionality so you can clip on whatever else you need. Carry handle and trolley sleeve all for easier travel. Material: 600d PolyCanvas with Dobby Accents. I looked for an inexpensive backpack and I got one that I believe is worth more than what we paid. The logo is nice and bright in white against the background of the backpack. I'm happy that it is RFID Security safe for travel. I hope the group enjoys their swag for the holidays. Thank you AnyPromo for making the shopping easy and the whole ordering process a breeze! the quality was better than expected. Rose is wonderful to work with. Veronica does a good job. Very nice. The outcome came out very nice.